This is one of those cinematic sleights of hand that only exceptional film-makers could hope to pull off. Armed with a clever script by John Mortimer (of Rumpole fame), director Carol Reed has managed to turn a thoroughly run-of-the-mill potboiler into a hugely entertaining three-handed thriller thanks to his unerring ability to conjure up atmosphere, the striking photography of Robert Krasker and the canny performances of his splendid cast. 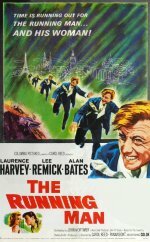 Laurence Harvey is gleefully extravagant as a cocky conman, Alan Bates doggedly decent as the insurance assessor on his trail and Lee Remick beguiling as the "widow" caught between them.